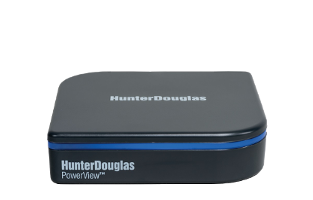 First, follow the Hunter Douglas instructions to set up your PowerView Hub. Create one or more Room and some Scenes. Once complete, follow the steps below to control your shades using Harmony. 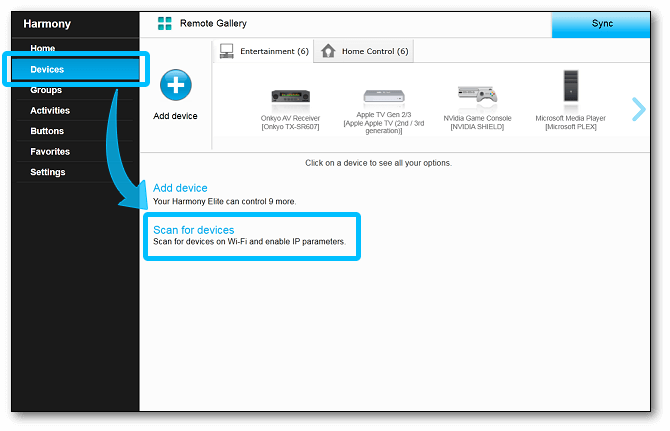 During the setup process Harmony will automatcially add your various home entertainment and home automation devices. If Hunter Douglas is not detected, ensure it's connected to the same Wi‑Fi network as your Harmony hub. 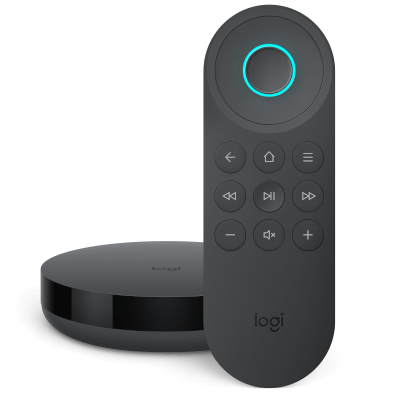 Select ADD DEVICE, followed by HOME CONTROL > HUNTER DOUGLAS POWERVIEW HUB. Finally, press > in the upper right-hand corner. Select the Devices tab on the left side of the screen, then the Scan for device link near the center of the page. Harmony will scan your home network for a Hunter Douglas PowerView Hub. If your PowerView Hub is not automatically found you may also add it manually. Select the Home Control tab along the top of the page, click on Add Device and search for Hunter Douglas. Once your PowerView Hub is found and added, Harmony will automatically import the Rooms and Scenes you have created using the PowerView app. Access the DEVICES screen and select BLINDS, you will see a list of the Rooms you created. 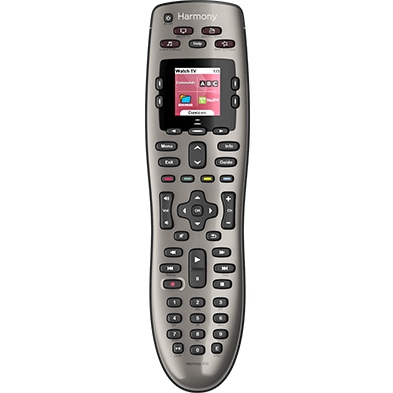 If you're using a Harmony Companion remote, you'll need to use the Harmony mobile app in order to activate scenes. Tap on a Room's name to see associated Scenes. Select a Scene to enable it. To control individual shades, create a new Scene for the shade(s) you wish to control. 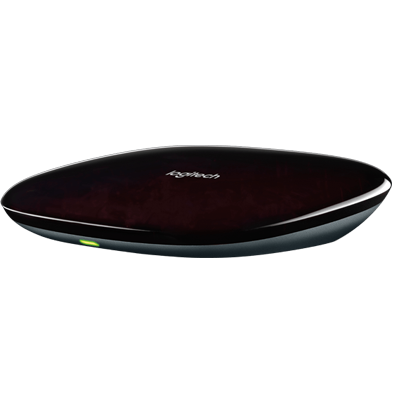 Harmony connects with your PowerView Hub using your home Wi‑Fi network. Please ensure your PowerView Hub is connected to the same home network as your Harmony hub.